On Free Comic Book Day 2017, Lion Forge Comics launched a new superhero universe called Catalyst Prime via a comic called The Event. In thirty pages, the reader is introduced to a world that is forever changed when five astronauts attempt to save the world from an asteroid. Life before and after the event is told, giving readers a glimpse into the lives behind those involved in the mission and the dire results from it. One of the best things about this comic is the cast of characters. 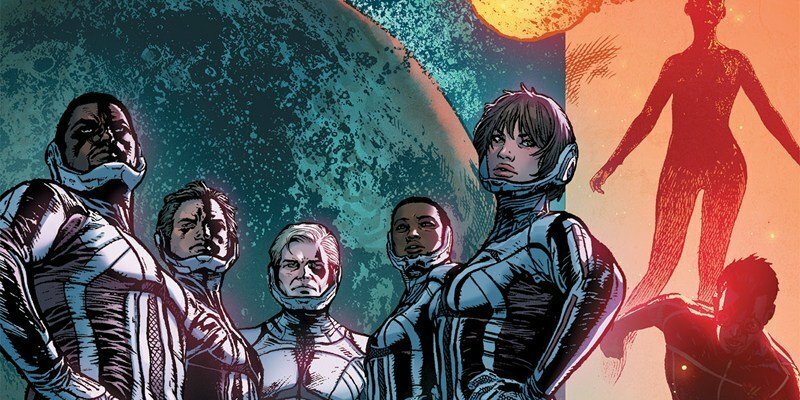 As mentioned earlier, the comic is centered on five astronauts: David Powell, Valentina Resnick Baker, Major Alistair Meath, Jamila Parks, and Evan Chess. However, there is also Lorena Payan, the CEO behind the corporation responsible for them going into space. Although Lorena gets the most pages, the one-page peek into the astronauts’ personal lives manages to be enough to make the reader emotionally invested in them. With these pages, you see that they have families, partners, and personal beliefs that influence them to take part in the mission and make it back alive. Out of all the characters, Lorena Payan ends up being the standout. The book does a fantastic job at showing different sides to her personality, teasing the reader and giving us a surface view of who she is. This surface view shows her to be an intelligent and considerate young woman who wants to help the world around her. It is also based on how everyone else sees her, including her colleagues, the media, and everyday people. By the end of the comic, this surface view is shattered in a shocking twist that makes Lorena a force to be reckoned with. Breathing life into the characters and setting is the artwork. It is reminiscent of Roberto De La Torre’s drawing style in that the characters look like real people living in a bright and gritty world. It depicts the key moments of the story well through encapsulation that has a mix of dark, light, and warm colors as well as colors that glow. Sometimes, the colors work together with the dialog and speech bubbles to help the reader follow the flow of conversation between multiple characters. It might be a little confusing, but it’s a nice approach. 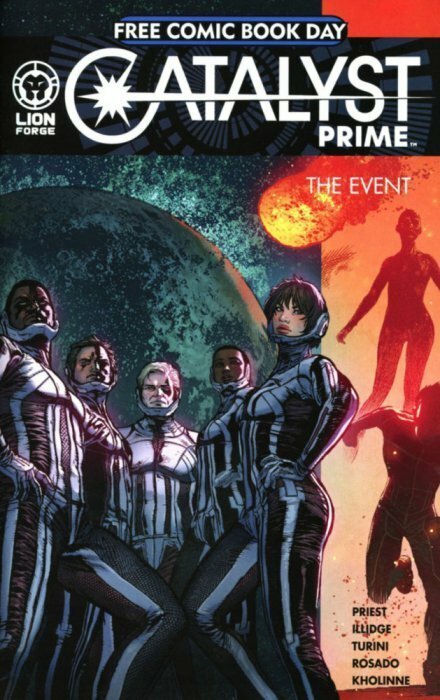 All in all, Catalyst Prime is poised to be a promising superhero world. It has a great inclusive cast of characters and nitty-gritty scientific setting that makes you take real life a little more seriously. The potential of Lorena Payan and the five astronauts involved in The Event is high, and their stories are worth reading and caring for.